The private tests conclude with the Briton ahead of Marini and the Spaniard in Moto2. For his part, Rodrigo led the Moto3 times. The second and last day of private tests in Jerez was completed by 14 Moto2 riders and eight Moto3 riders. 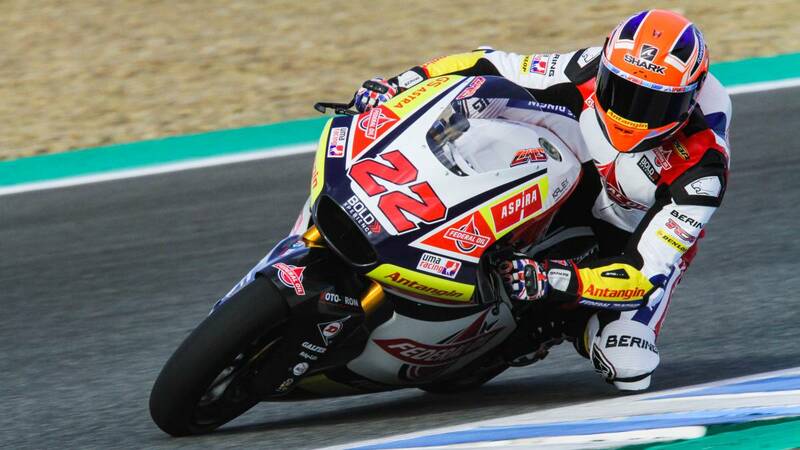 And he did it with Sam Lowes, pilot of Gresini, in front thanks to a record of 1: 41.578 with which he lowered the best time of the previous day, a 1: 41.827 of Luca Marini. Rossi's brother could lower his time in the second day, but not enough to beat the British, so it remains in the second place ahead of Alex Marquez that yielded more than three tenths with the first place. Jorge Navarro and Xavi Vierge, the other two Spaniards present in the intermediate category, the fifth and sixth place respectively were awarded. On the other hand, Gabriel Rodrigo repeated leadership among the Moto3 and also did it improving his time of the previous day by one tenth, staying with a 1: 47.140. Sergio García was behind him and Alonso López, the other Spaniard, was fourth of the small displacement. Next week, from February 20 to 22, the two categories will return to Jerez, but with all their drivers for the official tests.